Hispanic Heritage Month was created to honor the many contributions made by Latinos in our country. It was a no-brainer, then, for us to recognize José Luis Orozco, a man who for 39 years now has been relentlessly focused on preserving our rich cultural identity through songs and music for children, while at the same time exposing a wider audience to the heritage of the Spanish-speaking world. His name is very familiar and well-respected amongs educators, especially with bilingual (Spanish/English) teachers. Parents usually find him through a local library, word-of-mouth, their kids’ schools or when searching online for traditional Spanish folk songs for their children. Orozco’s name was one of the first ones to come up when I started looking for music for my daughter. I was really looking for traditional arrullos that I was sure I knew, but just couldn’t remember their lyrics. I needed a CD that would open the floodgates of my memory. And, that’s exactly what happened when I found Orozco’s Diez Deditos album. I started listening to it and I found that song after song made me reminisce. Then, I ordered the accompanying songbook and now I have the lyrics to those songs, not that I really needed them since the canciones are simple to sing along to and most I’ve heard at some point; but the book will grow with my girl and it’s a great tool to teach her to read. As Orozco himself said when I interviewed him recently, “When the storybook and the CDs are used in conjunction, they are an amazing resource to promote reading in young children. 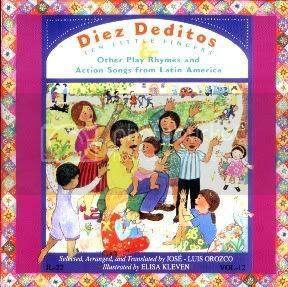 They can read songs.” Orozco envisions his music and storybooks being used at home to create family unity and to engage in conversations about our traditions. The illustrations on the books are so rich and descriptive that they alone provoke and engage my girl and I in long conversations about the depicted scene. Jose Luis Orozco’s passionate mission is “to promote and maintain the Spanish language, traditional folk music, songs, and Latino cultural heritage in the U.S.” Even though he’s been an advocate for bilingual education for four decades and he started at a time when, ironically enough, there were more resources to fund bilingual education in public schools, his message is better received now since there’s a larger audience than years ago. 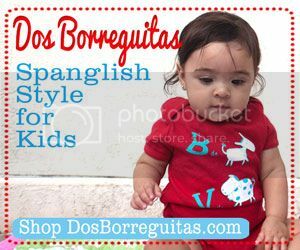 This is, in part, thanks to the continued growth of the Hispanic population and of people anxious to find ways to preserve their roots and language through their children. He has focused his life-long work on the art of transmitting music and folk songs because these are to him “a pathway for other communities to learn what our culture is about.” Music, he says, is an important tool to use as a language and culture promoter. It’s used as a cultural container in any group. As soon as we’re born we use the traditional nanas and arrullos that our parents sang to us. These folk songs are a motivating instrument used to teach language and to comfort. The musician himself is a father of four and grandfather of two children. He was a first generation Mexican immigrant who left his native Mexico City at the age of 19 in pursuit of higher education. As a child growing up in Mexico, he had the good fortune that his talent as a singer took him to travel 32 countries. It was through his travels that he gained a wider perspective and world view that eventually led to him receiving his Master’s Degree in Multicultural Education. Doing what he loves, he has built a successful career as a children’s author, songwriter, performer and recording artist, as well as a passionate advocate for preserving language and heritage by using music as an important learning tool in multicultural classrooms. I’m sure we all agree that every day is a special one to celebrate our culture, but as Orozco points out: “Hispanic Heritage Month is a celebration of our roots and independence. These celebrations are important to bind a community together through a common language and ancestry.” We thank him for his work and for providing a rich soundtrack for our children’s memory. We are excited to give away a gift bag of Orozco’s CDs and storybooks worth $72 to one of the subscribers to our Newsletter. The first edition of our combined SpanglishBaby and SpanglishBabyFinds newsletter will be sent out the last week of October and will include the announcement of the winner of this amazing, musical gift. All you have to do is be subscribed. To find out more and to subscribe please go here. I first saw Mr. Orozco’s CD’s at our public library and I absolutely fell in love with his music! It also brought LOTS of memories from my childhood in Mexico… many songs that I thought I had forgotten, came right back like the smell of sweet pan in my mother’s kitchen! Ahhh ! I contacted Mr. Orozco and told him that he was a Mexican National Treasure!! My daughter and I absoultely love Jose Luis Orozco’s music. It’s so interesting, lively,and fun! We took a kids spanish singing class and the teacher had included many of Orozco’s songs in her CD. “Las hormiguitas” was tons of fun because the kids get to act out what the ants are doing (i.e. skating, dancing, etc). I adore JLO!! Like Elba, so many memories of growing up in Mexico came back to me after listening to the songs. I was ecstatic when I found his music so I could share it with my children. Music, language, culture, tradition are so intertwined….. Thanks for an awesome article and interview. I’m so happy to read you also enjoy his music and you felt the same way I did when I first listened to it. What surprised me the most when I was talking to him was that he had that intention of creating musical connections through the parents so that we could remember one song that would take us to remember another one and so forth. Elba: How did he react when you told him he was a Mexican National Treasure? How funny! .-= Ana Lilian´s last blog ..Jose Luis Orozco::Preserving our Hispanic Heritage through Music + Songs =-. I would love to hear what he had to say as well to such a wonderful title given! Love his música also – in the car, in the classroom, at la playa! The kids dig it! 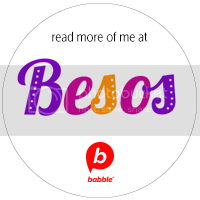 .-= Boca Beth´s last blog ..Music Monday Marches in Hispanic Heritage Month One Day Early =-. 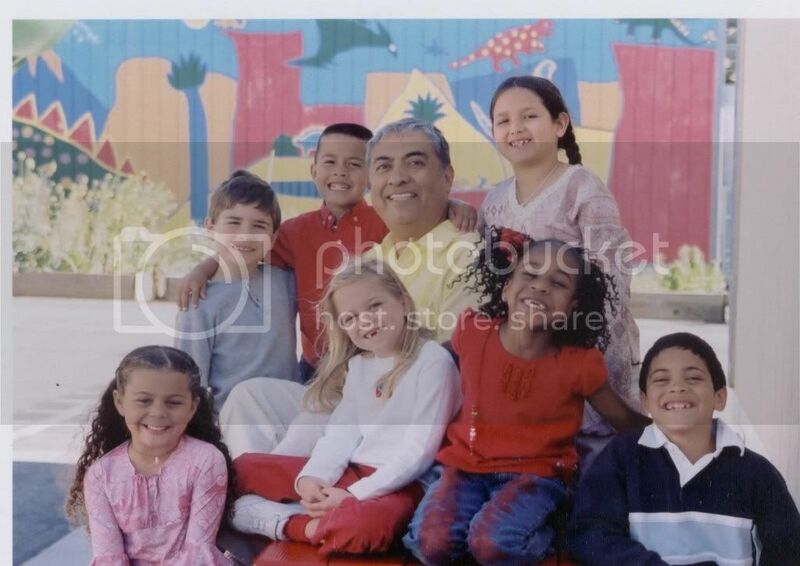 Mr Orozco is a unique blessing on this planet for children education and self esteem. One must be in his presence to truely experience his magic. I always enjoyed Jose Luis musica because it takes backs to childhood to those days growing up in rural Mexico! The connection between now, then and the fact the provides educational experience about what we did and how we grow up. It is a magical connection that sometimes I wish I could go back and do one more dance around la pinata before getting to the candies! We Love Jose Luis Orozco music too! we have always a CD in the car and one at home. 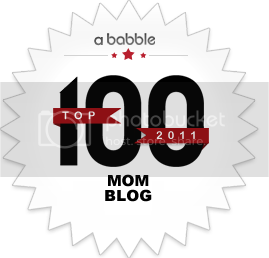 My toddler loves 10 deditos, while my 5 yo likes the abecedario song. Thank you Jose Luis for keeping our childhood music alive! .-= Silvia´s last blog ..Sorteo Digital Room Foto Poster/ Digital Room Poster Print giveaway =-.